After many days waiting, finally StableHost has also re-opened Singapore location, serving the Asian market. In the past, StableHost is always on the top list of best quality Hosting providers with stable performance, higher load when compared with other providers. StableHost is trusted by many members of CouponTree to use and appreciate the quality. Due to the shutdown of the Singapore location, only the US and EU locations remain, so the speed to Asia is slow. Many people still expect StableHost will one day reopen this location. Finally, that day has arrived, StableHost has sent an official announcement that will re-open Singapore location, dedicated to the Asian users. To welcome this important event, StableHost brings the largest promotion ever, up to 70% off lifetime when signing up for Singapore location Hosting. *** Promotion price apply for 3 years hosting plans, 1 year will be slightly higher. Payments can be made via PayPal or Visa/Master cards. Note: FREE .COM, .NET, .ORG, .BIZ or .INFO domain included with PRO Web Hosting package program is still valid. If you register, remember to select the domain before making payment. In addition, a very important incentive for old customers of StableHost, that is the support to migrate the hosting to Singapore location for FREE. For those who want to transfer the hosting to Singapore, open a ticket that requires the support technician to move on request. 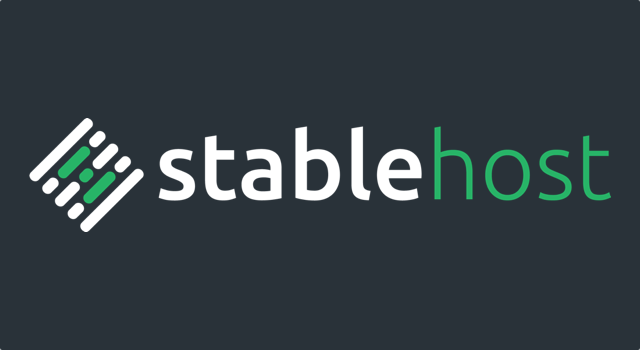 If you use the name server on StableHost, everything will be automatically updated without any further action, otherwise you will need to change the IP address manually then the website will work. Is this promotion too attractive? Go to StableHost and sign up for Hosting now. According to the information I have heard, this return is well prepared by StableHost, from the re-selection of suppliers in Singapore. They would have launched the promotion at the time of Black Friday two weeks ago, however, given the time it takes to get a closer inspection, they have been back to the time of today.